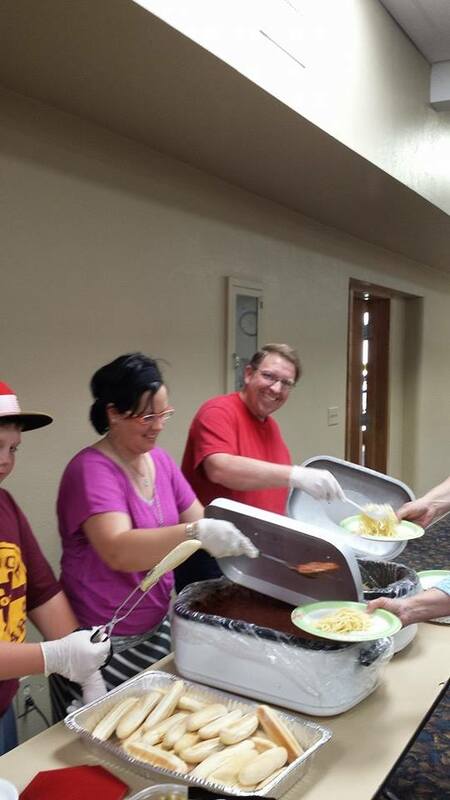 Terrific turnout for Spaghetti feed last night! 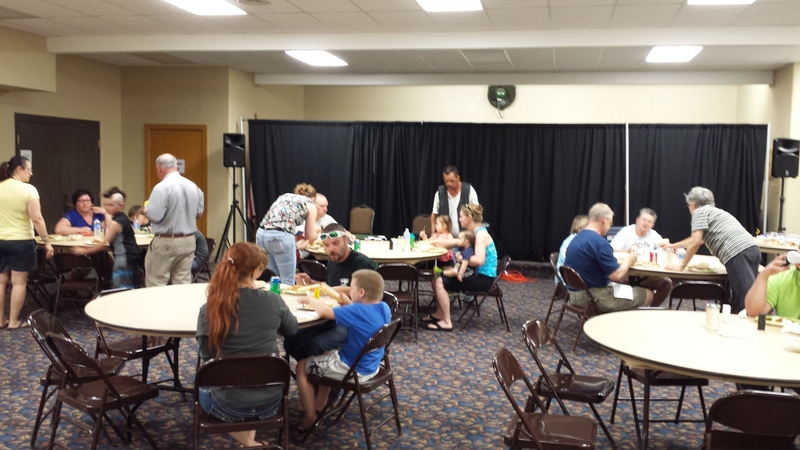 At least 173 people were feed last night and enjoyed an evening of fellowship. We changed the location from the Presbyterian church to the civic center because we had our Mobile Free Thrift Center setup there during the afternoon as part of a mulit-agency operation to allow those affected by the tornado and storm to be able to come to one place for the help they needed. So we went from sighup table to thrift trailer to kitchen and back to get everything ready while helping people with their needs. Thank the Lord we had extra help during the afternoon in the kitchen and also in the trailer. People were so grateful for the help with our Thrift Center and also to get a good hot meal. The help we had from folks from at least 3 different churches was tremondous! We had help with setup, cooking, serving, cleanup and moving everything out. We are humbled by the servant hearts of the people who worked tirelessly to make the evening a success. We just pray that it encouraged people struggling to make connections in a new community and was helpful to those recovering from the losses suffered during the tornado. 9 people were hurt, one 15 year old girl in critical condition in the Minot, ND hospital, the rest treated here in Watford City. We helped one couple who were in their camper when the tornado hit, it picked up the campe,r tore it apart and they were thrown to the ground. Beat up but alive. The man ended up having the shoes sucked right off of his feet from the power and winds of the tornado. We helped him with shoes and other clothing they needed. Thanks to all of you who are supporting us with prayer and finances to continue helping people in this ever expanding part of ND. We will be in Rapid City, SD next week for the Annual conference of the UMC churches, and to share what we’ve experienced here so far…and that’s a lot! God’s blessings on you all!